When selecting an advisor, you’ll likely encounter a lot of acronyms and abbreviations that seem to blend together. What do they all mean? What’s the difference, anyway? According to the Securities and Exchange Commission (SEC), “a financial professional may use various titles whether or not he or she is registered or licensed with a regulatory authority.”¹ It’s important to know that titles like “Wealth manager,” “Financial planner,” and “Financial advisor” are marketing tools rather than professional qualifications. To help you determine the level of an advisor’s professional experience, credentials, knowledge, and training, we’ve decoded some common advisor titles below. With this information, you can make more informed choices about the best professional to hire for your unique needs. An advisor with a Certified Financial Planner™ (CFP®) mark has invested years of study, preparation, and practice to provide clients with comprehensive financial planning. The designation is awarded by the CFP Board, which sets and enforces the education, examination, experience, ethics, and other requirements for CFP certification.² To earn a CFP mark, a financial advisor will need to pass a board exam after completing all necessary coursework. After reviewing your entire financial landscape, a CFP will create a plan that takes into account your needs, challenges, resources, goals, and more. A CFP professional will provide a robust, comprehensive approach to managing your finances while adhering to a strict code of conduct that puts your interests first. A Chartered Financial Analyst® (CFA®) is an analyst with a college degree who has at least four years of experience working in finance or investments and has passed a series of exams to prove their competency. CFAs are held to a standard of conduct as outlined by the CFA Institute, the chartering organization. A CFA can actively manage and grow your wealth with specific investment strategies. They have deep knowledge of financial analysis, securities, allocation, alternative investments, portfolio management, and more. Awarded by The American College of Financial Services, the Chartered Financial Consultant® (ChFC®) designation indicates that the advisor has successfully completed the equivalent of 27 semester credit hours of college-level courses. The ChFC will have covered over 100 topics on financial planning, passed an exam for each course, and have three years of full-time business experience within the last five years. This designation is often considered an alternative to the CFP marks. Those with ChFCs work through similar coursework, but requirements are less rigorous and no board exam is required. A Certified Divorce Financial Analyst® (CDFA®) is a financial professional with specific expertise in analyzing financial issues that often come up in divorce. A CFDA will advise clients on strategies to employ during this life change. CFDAs are certified and regulated by the Industry of Divorce Financial Analysts. A professional with a CDFA can examine data and provide recommendations to both the client and the client’s attorney to improve decision making during divorce. The Series 7 (General Securities Representative) exam, issued by the Financial Industry Regulatory Authority (FINRA), is a basic requirement for entry-level financial professionals. After passing the Series 7 exam, a financial advisor may apply to sell securities, including stocks, bonds, and funds. The advisor cannot sell investments like life insurance or commodities. FINRA also administers the Series 65 exam, which is a pre-requisite for becoming a representative of a registered investment advisor (RIA) firm. 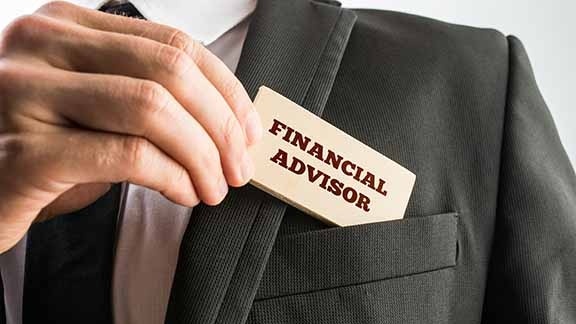 Investment Advisor Representatives (IAR) are regulated by the SEC and can provide investment-related advice. Many state securities regulators will allow CFPs, ChFCs, CFAs, CICs, and PFSs to receive a license without taking the Series 65 exam. IARs who have successfully passed both the Series 7 and 66 exams, and have been affiliated with a broker/dealer in the past 24 months, will generally be exempted from taking the exam. Note that applicants will need to satisfy other state requirements, such as a background check and payment of fees, in order to receive a license. Seek out a professional with specific knowledge and expertise that applies to your unique situation. Keep in mind that many advisors hold multiple designations. Are you required to take refresher courses to maintain the designation? FINRA.org lists countless other professional designations. If you don’t see an acronym listed here, check out their database to find the designation and review its requirements. Jeff Best at Buckeye Wealth Management is a Certified Financial Planner™ or CFP® to help you navigate financial planning, business planning, wealth management and more.